Whether you join us for lunch to explore the dark matter of ENCODE or visit our booth (#507) to check out the latest updates and get a demo of DNAnexus, we’d love to catch up with you at ASHG. Plus, be entered to win an iPod Shuffle, when introducing yourself at the DNAnexus booth. 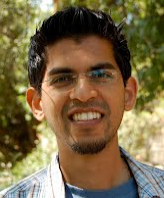 We are honored to have Dr. Anshul Kundaje, research scientist at MIT, review his latest ENCODE consortium paper and share insights into gene regulation. By looking at 119 transcription factors and regulatory proteins, Kundaje’s team found that chromatin diversity at the regulatory level is the norm, rather than the exception. During this lunchtime talk you’ll discover how Kundaje and team used DNAnexus to process and map some 5 billion reads and identified chromatin patterns via a newly developed probabilistic mapping tool, the Clustered AGgregation Tool (CAGT). The clustering approach yielded dramatically different results compared to the standard method of averaging chromatin marks across populations. Importantly, Kundaje’s team was able to identify about 25 “metapatterns,” or signatures that represent the diversity of modifications across binding sites and cell types. These distinct patterns will be valuable for other scientists examining chromatin modifications and making inferences about what those changes are doing in the genome. • Boxed lunch & refreshments will be provided! 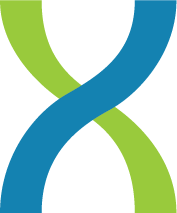 Explore the data yourself; you’ll find the 20 samples accessible via DNAnexus in our Public Data folder, labeled Encode.